that are easy to use and flexible for your blogging needs. 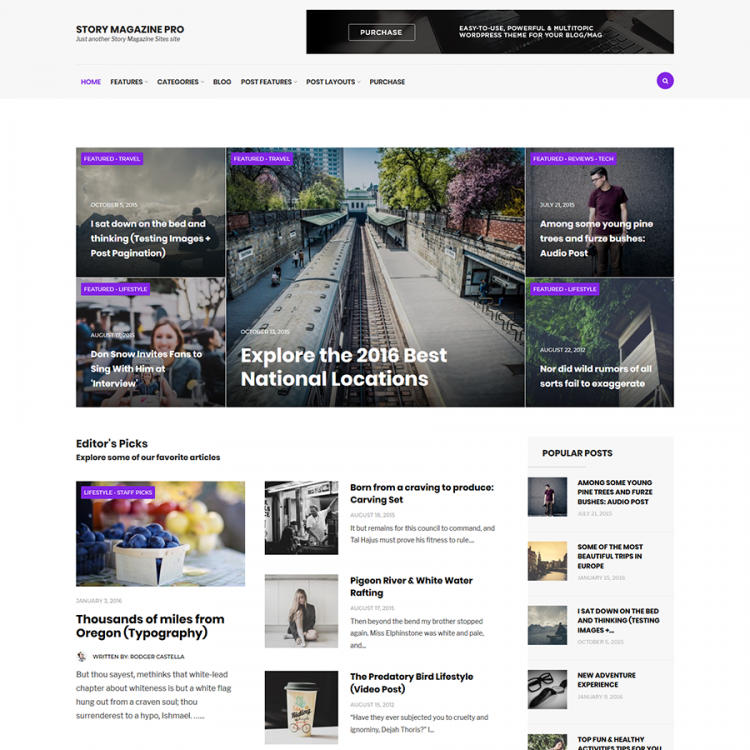 Create and manage an awesome editorial website with free Story Magazine theme. It is carefully crafted with attention to details.